Today’s homebuyers are looking for more than just open floor plans, modern kitchens and outdoor living spaces. They want their homes to surpass their expectations and make everyday life easier. 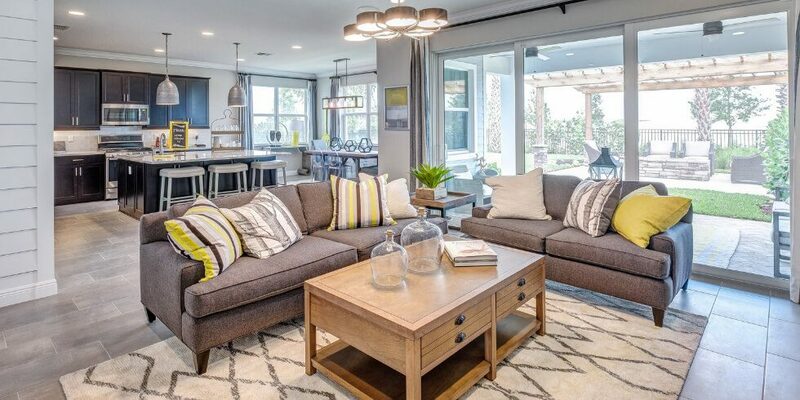 Arden’s exceptional homebuilders – Ryan Homes, Kennedy Homes, Lennar and Kenco Communities – include innovative home automation and eco-friendly features that not only make day-to-day tasks a breeze, but also help reduce your family’s environmental footprint. Homes at Arden have options to include some high-tech features that will make your home feel straight out of the Jetsons age. Choose from some of the world’s first Wi-Fi CERTIFIED™ home designs to ensure connectivity throughout your whole home. Include touch-to-open door locks to make it easier when carrying armloads of groceries or so your kids don’t have to remember their house key. Wireless light dimmers and speakers mean you don’t have to leave the couch to get ready for movie night. And when you combine smart products with Amazon products like the Echo Show and Dot, your home could start your coffee in the morning, make sure all doors are locked when no one is home, and even automatically play your favorite music to unwind after work. Stewardship of the land and maintaining the natural Florida surroundings is part of life at Arden. Homes don’t just meet industry standards for energy efficiency – they exceed them. Homes include features like additional insulation, tankless water heaters, programmable thermostats, low-e windows and energy-efficient air conditioners, saving the environment and your wallet at the same time. Homes at Arden were designed for a modern way of life. To learn more about the builders and lifestyle at Arden, join our Founders Club to receive news and updates.